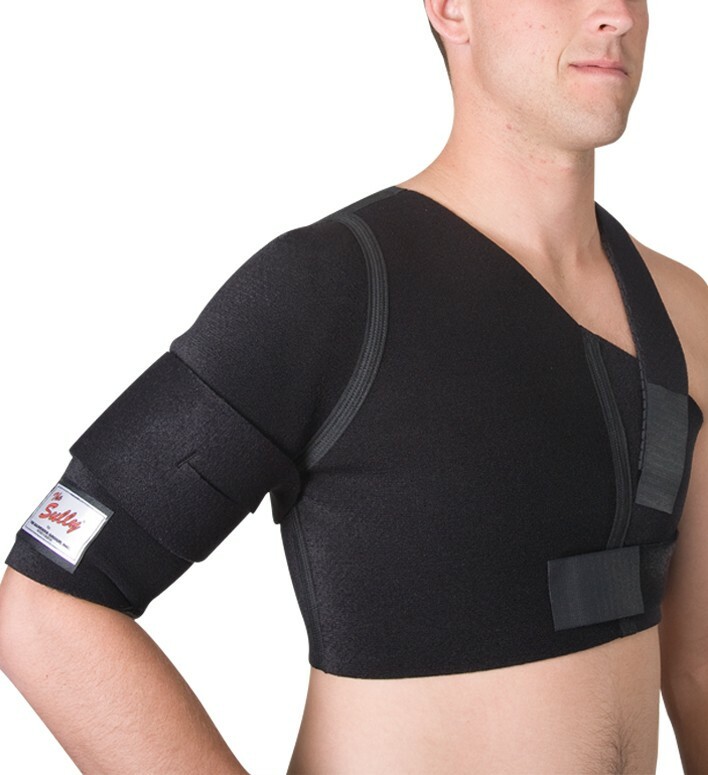 I'd recommend the DonJoy Shoulder Stabilizer (https://www.betterbraces.co.uk/donjoy-shoulder-stabilizer), as it will provide more support and protection. You may even be able to use the DonJoy Shoulder Stabilizer Shoulder Pad Attachment (SPA) (https://www.betterbraces.co.uk/donjoy-shoulder-pad-attachment) to attach the Stabilizer to your son's pads. Thanks for visiting us at betterbraces.co.uk with your questions!